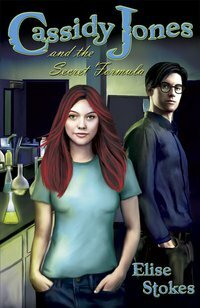 My daughter Anna is reading Cassidy Jones and the Secret Formula right now and is loving it!!! So naturally, I want to share this book with you. Elisa Stokes was so kind to give us three copies for giveaway. Read some Amazon reviews here. Anna will be done with the book soon, and I will put up her review on ReadingTween. Thanks for the giveaway. This sounds great. Thank you for this give away ! THANKS FOR THE GIVEAWAY HOPE YOUR DAUGHTER REALLY ENJOYED READING IT! Awesome Giveaway. Good luck to everyone! Thanks for the giveaway! Sounds interesting.